Looking for that final piece to complete your space? Wanting to come up with something wild and just for you!? Let me help you create a refreshed unique look just for your space! We can work with your own piece or pick from my inventory and I will assist with fabric selection, finishing details and accent pillows. Creating a space that reflects your unique style can be an overwhelming task to tackle on your own - let me help! 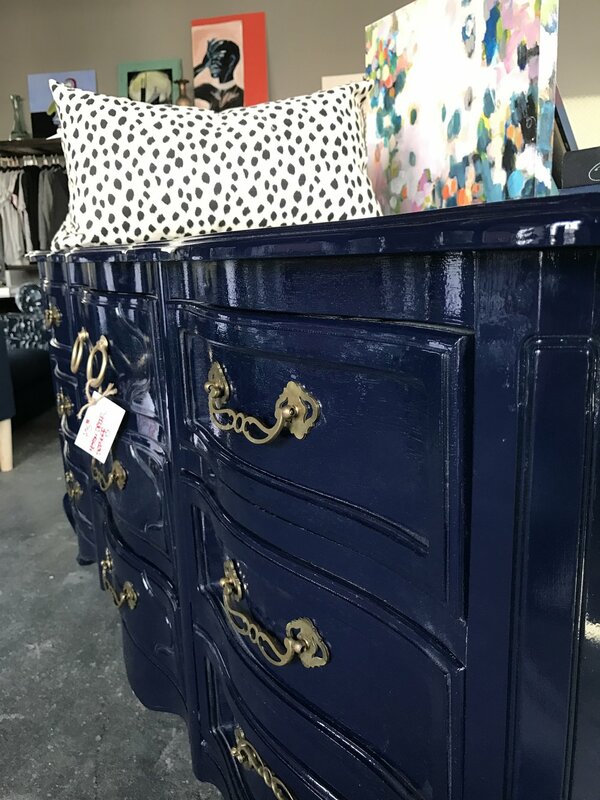 I love to find or create one of a kind pieces that compliment your home and lifestyle. Can’t find what you are looking for? We can custom build the perfect piece to complete your space. Let us know what you are looking for and how we can help you create it! Sign up with your email address to stay up to date on events + happenings at the shop! No worries, we definitely respect your privacy!